See section 1.25 for Auto annotations. 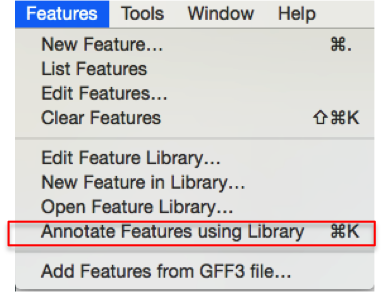 In ApE you can go to “Features” – ”Annotate Features Using Library” from the main menu (Figure 3.3.5.1) to search for annotations from the ApE provided library. Figure 3.3.5.1: Initiate "Annotate Features Using Library" from the main menu in ApE. In Genome Compiler in order to auto annotate a whole project, you should open the "Auto annotation Settings" dialog (Figure 3.3.5.2) whereby you can select which folders to annotate against and the stringency (See section 1.25.4). Genome Compiler provides an internal Plasmapper library as well as allow you to create your own custom libraries. 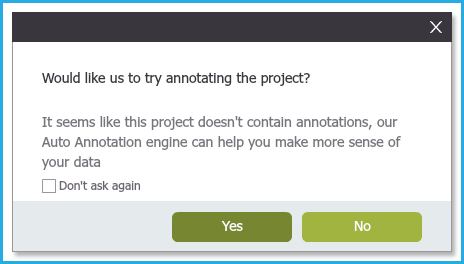 This dialog can be opened by right clicking anywhere on the project canvas and choosing "Auto annotate this Project" (Figure 3.3.5.3) or by selecting the "Auto annotate" button in the main tool bar (Figure 3.3.5.4). Alternatively, you can press the "Auto Annotation" settings icon from the Annotation layers menu at the bottom right of the project (Figure 3.3.5.5) or from the main menu bar through "Tools"-"Auto annotate" (Figure 3.3.5.6). 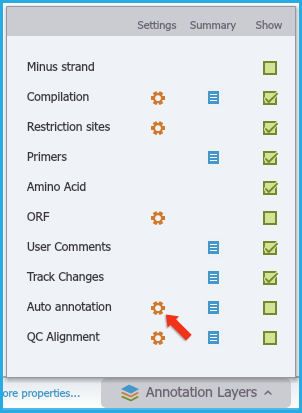 Figure 3.3.5.2: "Auto annotation Settings" dialog in Genome Compiler. Figure 3.3.5.4: Initiating auto annotate from Auto Annotation icon in tool bar. Figure 3.3.5.3: Initiate auto annotate from project menu. 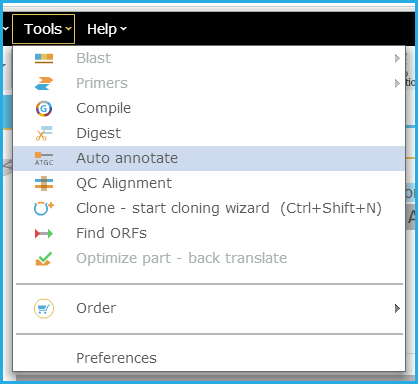 Figure 3.3.5.5: Initiating auto annotate from Annotation Layers menu. Figure 3.3.5.6: Initiating auto annotate from menu bar. Figure 3.3.5.7: Pop up for project with no annotations. 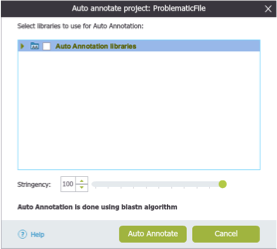 If you select "Yes" then you will be taken to the "Auto Annotation Settings" dialog to choose your folders to annotate against and select the stringency before proceeding to annotate the project. Note: Each time you re-run the auto annotate function, the whole project is re-annotated again, so this may result in duplicated annotations. Each time you save the project, all the annotations are saved.